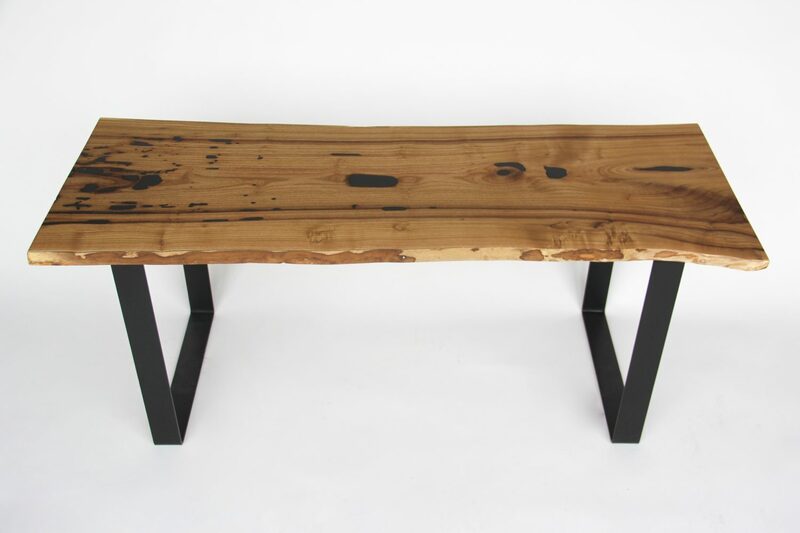 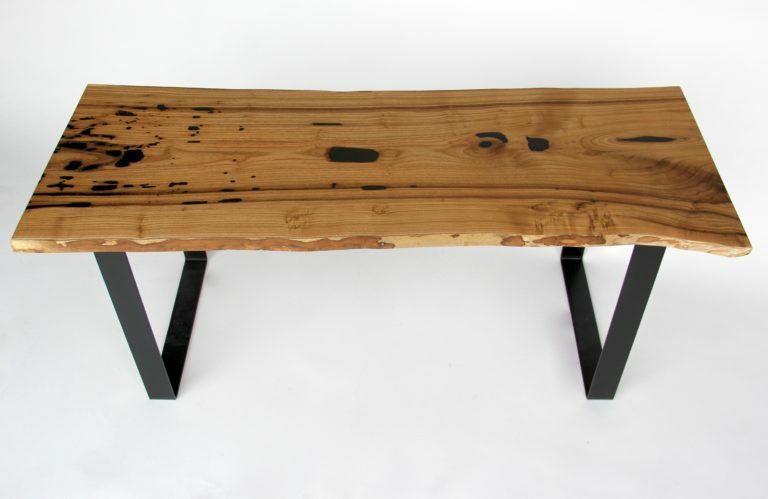 This catalpa bench was hand-finished to bring out the stunning grain pattern of the Michigan-grown hardwood, filled with ebony epoxy to set off the natural variations within the surface, then matched with a set of sturdy metal legs fabricated in our workshop. 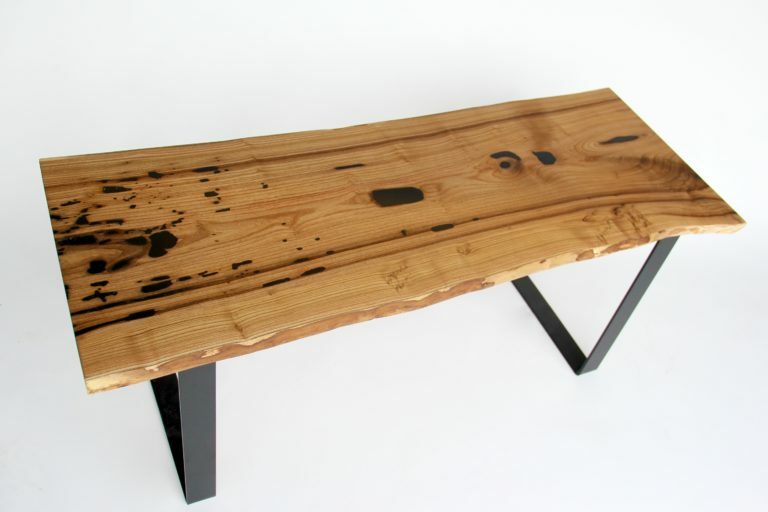 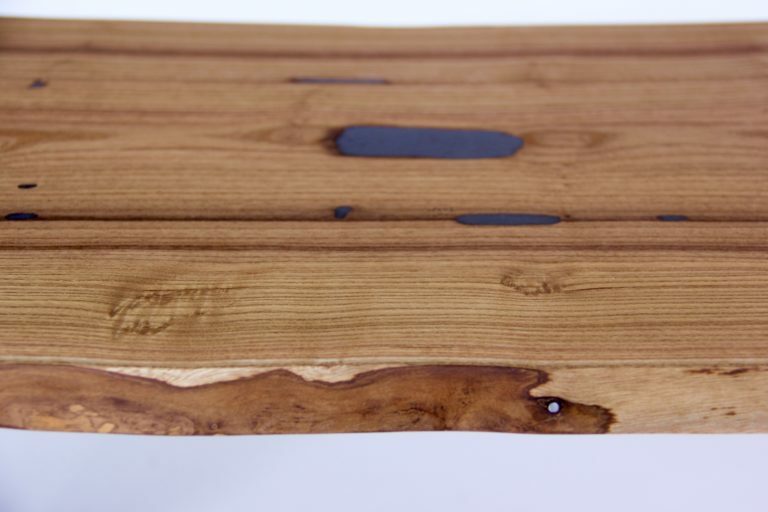 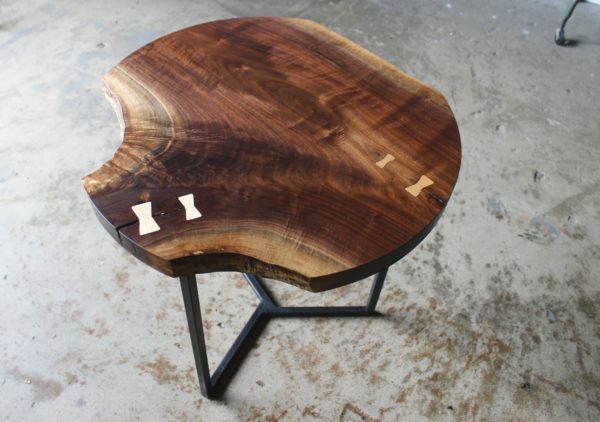 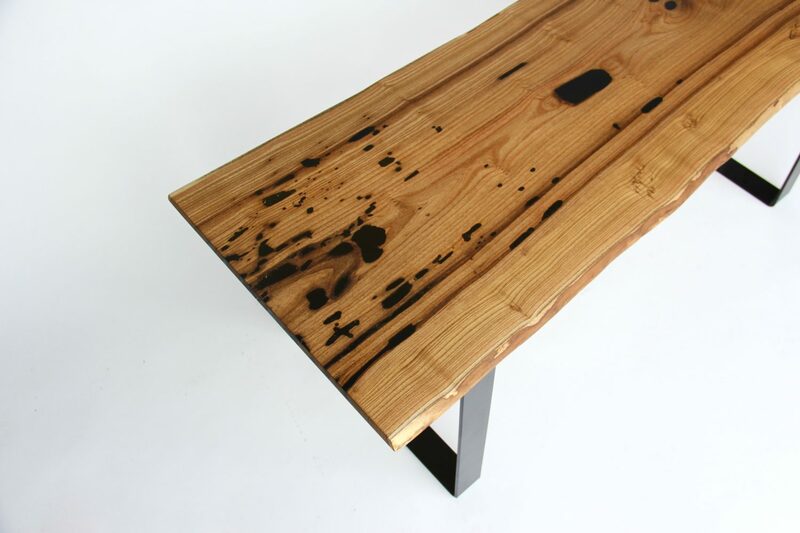 This table is truly special, with a unique natural shape and a character all its own. 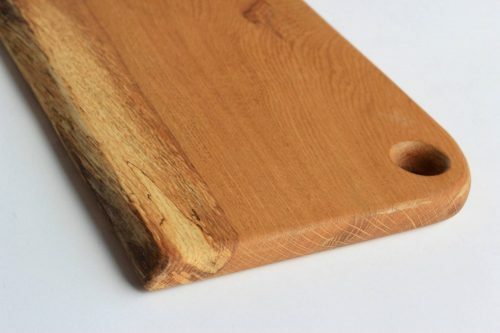 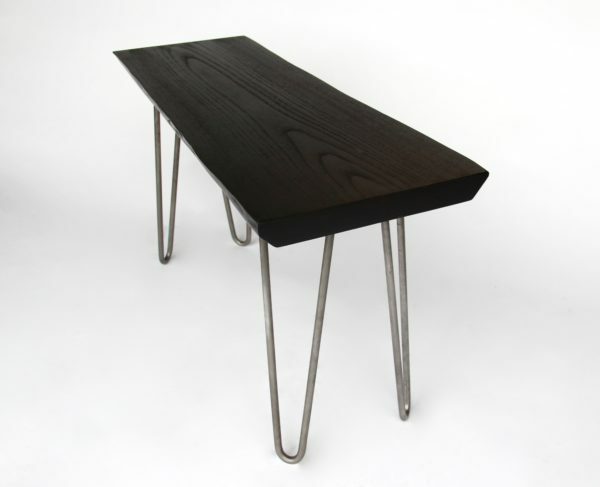 THIS Listing is for the table shown in the listing photos – if you would like us to make a similar one just for you, or with different table dimensions, legs, or features, we can do that – just let us know what you’re looking for and we’ll make it happen!